Completely Recover Lost Android Data on Mac! 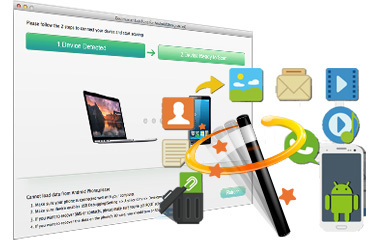 Contacts, SMS messages, photos, videos, music and documents can be easily recovered. Retrieve deleted, formatted and lost data on Android. Allow to preview all scanned out Android files before recovery. 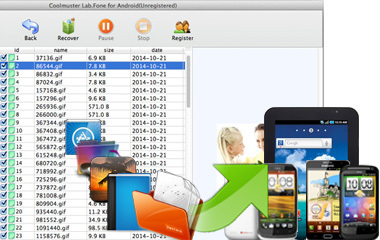 The Mac version of Lab.Fone for Android is able to restore almost everything lost from your Android phone or Android tablet on your Mac computer. It can effortlessly access both the internal and external memory card in the phone and locate the files you want quickly and accurately. Recover all Android text messages and contacts and export them to your Mac computer in HTML format for viewing or printing. 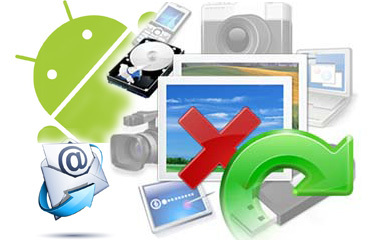 Extract all media files in your Android device, including photos, videos and music files. All will be recovered in original format and quality. Never worry about recovering the wrong or useless files from your Android device because such considerate Android Data Recovery for Mac allows you to preview all recoverable files one by one and get lost data back to your Mac selectively and accurately. You are allowed to preview all the scanned out Android in clear list one by one. 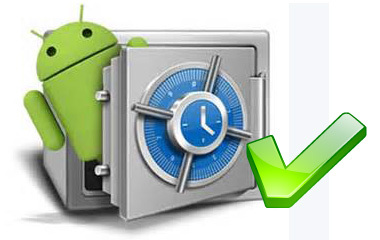 Recover the exact Android data you want back selectively so that you won't recover the files you don't need. Deleted files and existing files are distinguished by different colors. The deleted and lost Android files are shown as red. You can only check the red files if you want to exported the lost files to Mac. 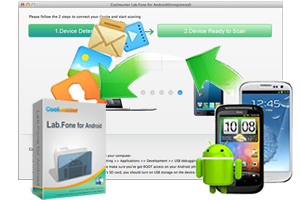 Coolmuster Lab.Fone for Android on Mac supports almost all popular Android phones, tablets and Android OS all over the world. Such powerful compatibility makes the program chosen and preferred by a large number of users. The Mac tool works well with overall Android device brands, such as Samsung, HTC, LG, Motorola, Sony, Huawei, ZTE and so on. Available with all Android OS versions, including the latest and previous ones. You may need this article how to root Android device to get your Android phone/tablet rooted before you use this Android recovery software. Various data loss scenarios can be handled by this Mac tool, such as accidental deletion, operating system corruption, improper handling, virus and spyware attack and many more. It read carefully on all materials in your Android device and keep your data without any damage, deletion after the recovery. Coolmuster Lab.Fone for Android is 100% safe and risk-free. No personal information or privacy exposing. Work well on all Mac platforms, including Mac OS X 10.9 Mavericks, 10.8 Mountain Lion, 10.7 and 10.6. 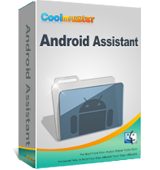 As the Mac version of the critically acclaimed Coolmuster Android Assistant, Android Assistant for Mac also features with the powerful Android managing ability to manage Android files freely on Mac. 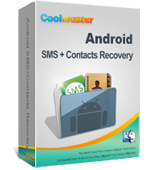 The world's first free downloadable Android SMS+Contacts Recovery for Mac tool allows you to recover lost text messages, contacts and more from Android mobile phone easily.